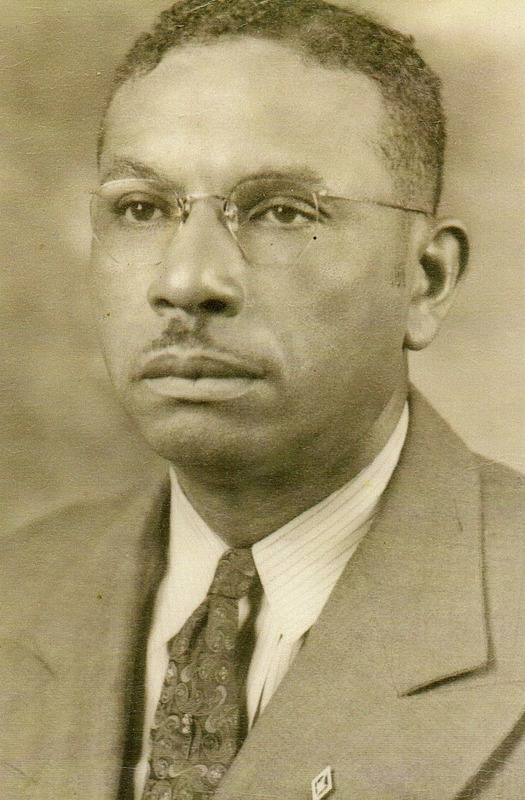 This week's ancestor is my great grandfather Frank Linwood Bryant. He was the son of my maternal 2nd great grandmother Jonas Bryant and according to his World War I Draft Registration Card was born October 6, 1890 in Morehead City, NC. One of the my brick walls on my family tree is that I do not know who Frank Bryant's father was. 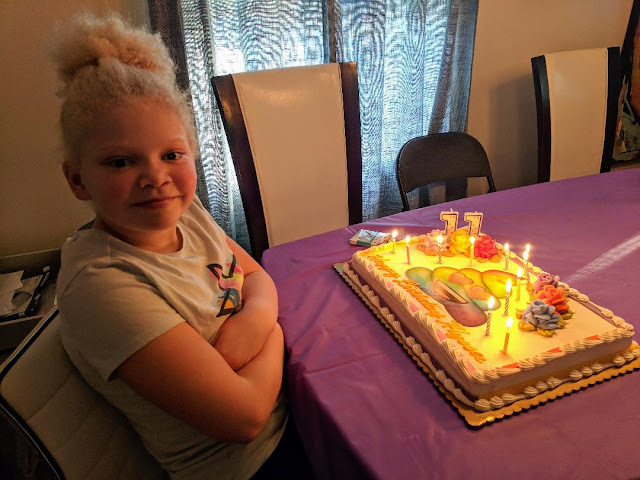 His mother Jonas never married and had only one other child, Mamie Cole Bryant Johnson, who I featured here on this blog last week. I don't know who Mamie's father was either. The siblings may have had the same father or different fathers. I am still trying to figure this out. One of the things that I was told while growing up was that Frank had an angry streak in him. He was a functioning member of society while at the same time he liked to hit the bottle. To my family members who read this who may have a negative reaction seeing this written down, all I have to say is, it is what it is. We all have dark and light within our spirits.If we don't recognize and acknowledge this within ourselves or others it does nobody any good. So with that being said Frank was known to have a temper and to at times be abusive. This has made me wonder, Why was he so angry? What were his demons? Did he know who his father was and had to keep this secret? Or perhaps he was just born mean? Maybe someday, someone who knows who his father was will see this post. Perhaps not. At least I can share what I do know about his life. He resided in the home of his grandmother Caroline Ellison Bryant on Avery St in Morehead City, until he married his childhood sweetheart Ophelia Jones. At least, I get the impression they were childhood sweethearts from the 1900 Federal Census record. You can see on this census that the families were enumerated on the same census page just 5 households apart. Morehead City was and still is a small town. They must have know each other for quite sometime before they tied the knot. Frank Bryant was 21 and his bride Ophelia Jones was 18 at the time of their wedding. 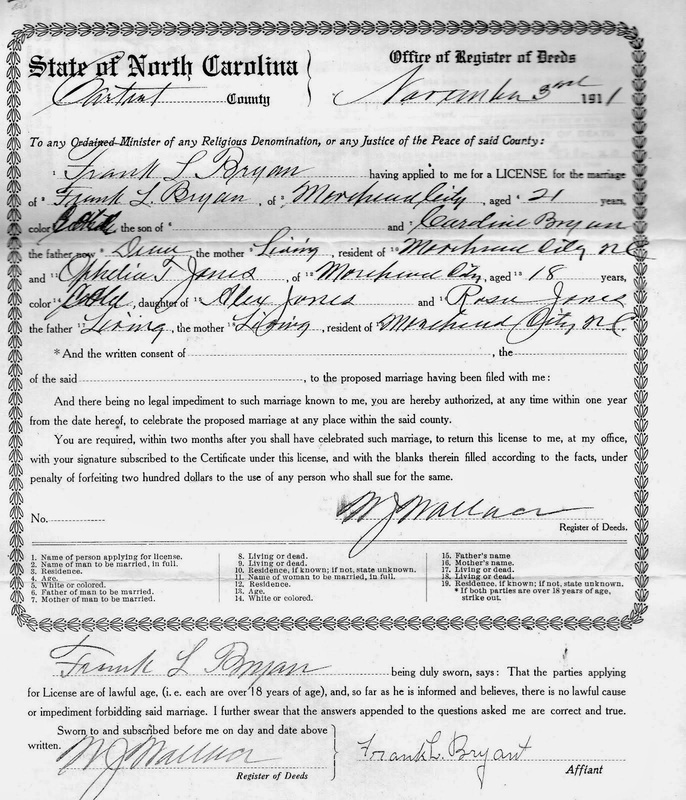 An interesting thing to take note of on the wedding license is that Frank is listed as the son of Caroline Bryant, his grandmother. It gives me the sense that Caroline may have done most of the raising of her grandson and not his birth mother Jonas Bryant. Frank worked his early adult years oystering but by 1917 was employed by prominent Morehead City business man Charles Slover Wallace. If you would like to learn more about Charles Wallace check out an older post of mine: Military Monday: Frank Bryant's World War I Draft Registration Card Provided An Interesting Find! He initially worked as a butler in the home of Mr. Wallace and then later by 1930 his occupation had changed to chauffeur for the same family. Frank Bryant also had a relationship with a woman named Caretta Bell while married to my great grandmother Ophelia that resulted in the birth of a child. Her name was Annie Marie Bryant Barnes (April 1, 1925--April 7, 1993.) This child I didn’t know about until I attended my Aunt Rosa’s funeral a couple years ago and saw her name listed on the funeral program. The only picture I have of Annie I featured on my post, Who Was Annie Marie Bryant Barnes? I know Frank must have had some redeeming qualities about him. I just can’t help but feel a little bit of heartache for my great grandma Ophelia because of this. 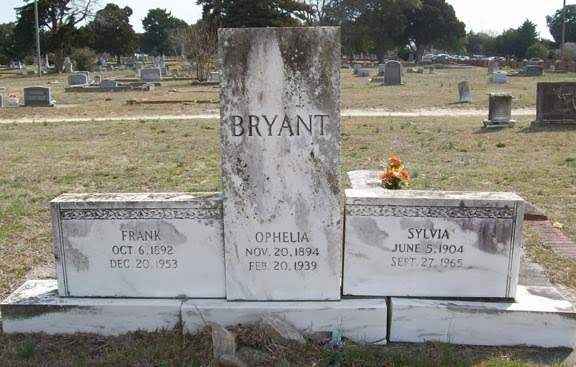 Ophelia Bryant passed away on February 20, 1939 after fighting a courageous battle with cancer. Frank went on to marry again. His second wife was a Sylvia Shephard Bryant. The two of them never had any children together. Like his first wife, Sylvia was also a school teacher. Frank Bryant in his later years. 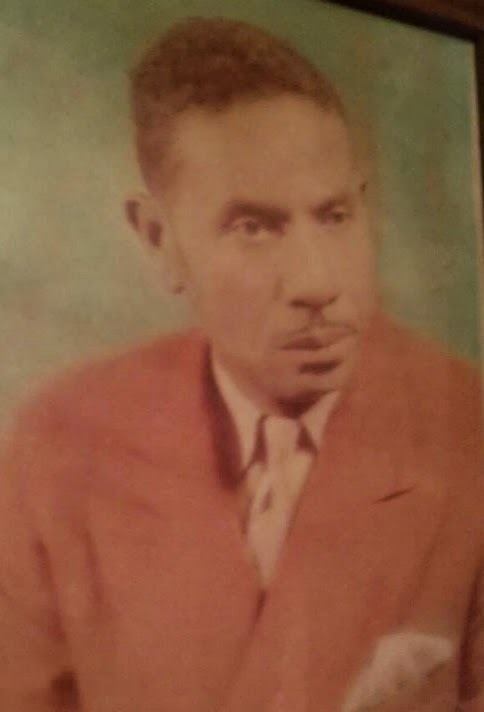 My great grandfather died on December 20, 1953. My mother told me that the year that he died she kind of had to hold down Christmas up in New York where she and her brother and parents were living. She played Santa for her younger brother while her mother Mary returned to Morehead City for the funeral. He's buried at Bayview Cemetary in Morehead City, North Carolina alongside both of his wives. 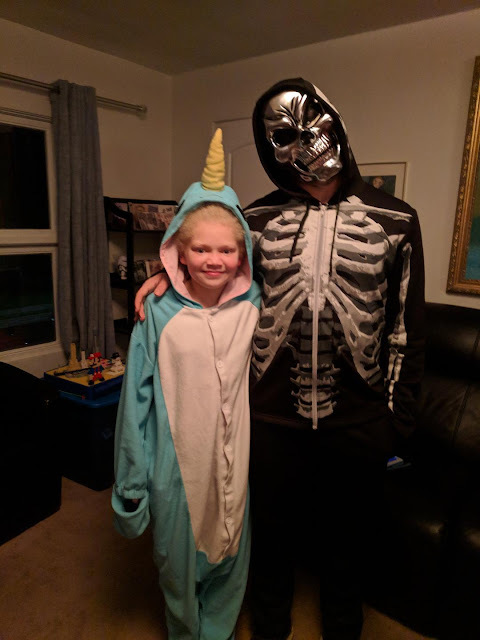 Everyone has skeletons in their tree. My great grandparents had two children within six weeks, as I found in the Baptism records. The entries were just a few apart on the same page. What I am really trying to find out, and I do not think I ever will, is which of these children are actually theirs and which is probably one of the great grandfathers brothers. 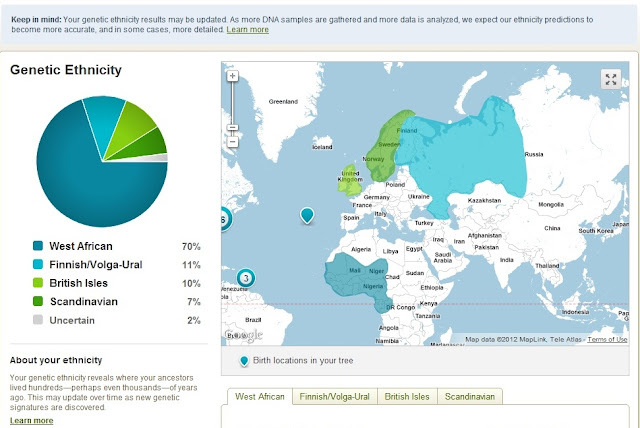 I think it was one of his brothers children since his wife does not appear to have any relatives in the country. Thanks for stopping by Claudia. Hey never say never, you just might find out still. As always nice post. My maternal grandfather had a mean streak about him also. Will have to email you later to find out how you made the blue mark on the census. Frank's parents not raising him probably contributed to his angry. You're probably right LindaRe. Sad. There was a hurt little boy inside the man.